Cabin Crew can be an excellent career choice if travelling across the world and interacting with new people excites you. Cabin crew are the in-flight members that make passengers comfortable while they are flying to their destinations. They look after the passengers boarding, seats, luggage, food and basic requirements along with their safety by introducing them to certain safety measures. They also need to provide a written report about all the records of the flight, which includes sales report about the food and other products, and an account of any unusual experiences. 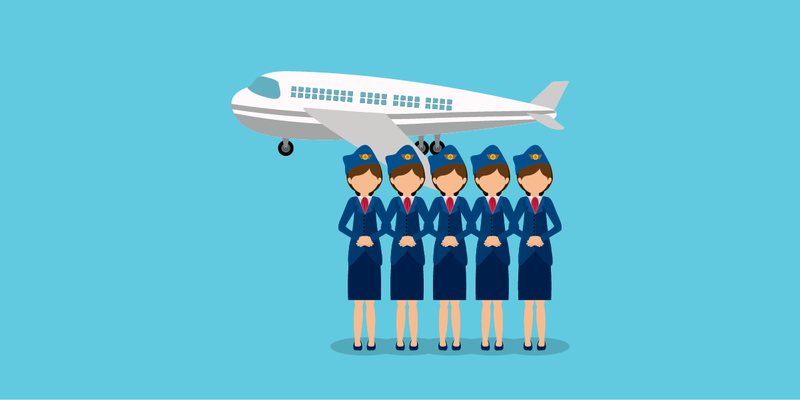 Training in cabin crew services include the study of the profession, passenger handling, in-flight procedures and emergencies, duties after landing, flight evaluation, dealing with passengers with special needs, food and beverage services among others. To become a member of cabin crew one has to be physically fit and attractive. Some airlines have a specific requirement in terms of weight and height. Candidates should also possess good communication and interpersonal skills with the right amount of tactfulness. Selection is usually on the basis of an interview followed by a group discussion. The candidates are eligible to apply after completing class 12th. Before starting work as a professional, one is required to gain some basic knowledge about the job through a course that lasts for around 6 months to a year. A degree in hotel management is recommended for fast track movement and good growth potential. Recruiters include all the leading International and Domestic Airlines such as Singapore Air, Emirates, Jet Airways, Air India, Indigo etc.